Bel Air Dental Care is a dental clinic located in the heart of Fallston, Maryland, founded in 1985. Bel Air Dental was spending a chunk of change on AdWords (paid search) and had no clear idea on what type of return they were getting. When they did get the reports, they were confusing automated reports with no insights or explanations. The client didn’t even know what questions to ask to get clarity. No idea how many calls were coming from the website, word of mouth, AdWords, or their social media. The whole digital marketing thing seemed overwhelming and confusing – SEO? SEM? Paid search? Social Media? Google+? Mobile friendliness? They needed someone to explain things so they could understand it and what type of return they could get. We performed a thorough audit of the website on how optimized it was for organic search, usability, and content. It was not well optimized nor was it mobile friendly. We worked closely with their web design team to get it up to speed. We performed a thorough audit of their AdWords campaigns. There was no testing of different ads, the traffic all went to the home page, and it was overall very poorly set up. We completely revamped it to focus on what the client cared about most: potential clients calling in or filling out an appointment form. Because the campaign was so poorly set up AND the client did not own it, we created a new campaign from scratch, completely in the client’s name so they will always own it. We installed a solution to track telephone calls from all sources. We created a customized report that focused on what metrics the client cared about. We reviewed it each week with the client so they could ask questions and make suggestions to make it easier. The number of patients more than doubled. The Cost per Conversion (getting a potential patient to contact them) dropped down to just 10% of what they were paying before. Bel Air Dental now receives easy-to-read reports twice per month outlining the key metrics they care most about (incoming calls, form submissions). During our bi-weekly meetings, we go over their report, giving our insights on the numbers, and show them exactly what has been going on with their campaigns: the successes, the failures, and what we’re working on to improve their results. They understand the whole search process much better and feel more comfortable asking questions and making suggestions. They like us so much, they recommended us to a dentist outside their geographic region. 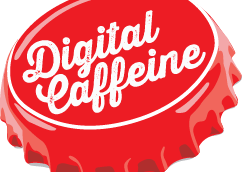 Since my dental practice hired Digital Caffeine, we have experienced significant growth in our patient flow and revenue, in fact we have more than doubled our practice. Our phones are ringing more frequently as a result of the surge in internet traffic. Digital Caffeine has been extremely responsive to our requests and has consistently provided us with creative ways to boost our practice.